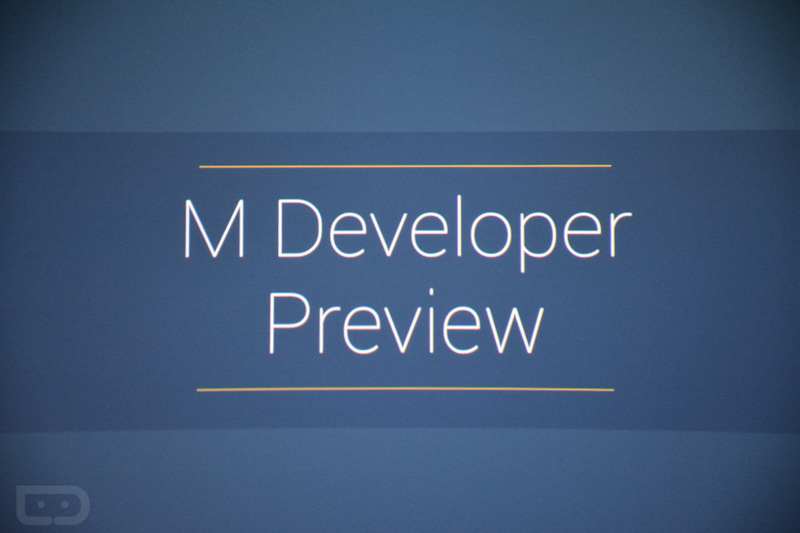 Google has announced a whole bunch of features of the Android M Developer Preview, which we have detailed here. But what about devices? Well, they also announced that it will be available on the Nexus 5, Nexus 6, Nexus 9, and Nexus Player. They didn’t say when, but I would imagine that it will be soon – maybe even this week. As we learn more about availability, we’ll update this post. Update: Google says to expect it right after the keynote. Today, is going to be awesome. UPDATE 2: IT’S LIVE! DOWNLOAD FOR EACH DEVICE HERE.